The governors of Florida, Louisiana, Arkansas, Oklahoma, Texas and Indiana on Saturday ordered National Guard members at offices and other facilities to be armed in the wake of attacks that left five servicemen dead in Tennessee. “It is painful enough when we lose members of our armed forces when they are sent in harm’s way, but it is unfathomable that they should be vulnerable for attack in our own communities,” Oklahoma Governor Mary Fallin said in a statement. Governors Rick Scott of Florida, Greg Abbott of Texas, Bobby Jindal of Louisiana, Asa Hutchinson of Arkansas and Mike Pence of Indiana issued similar orders for National Guard members after four U.S. Marines and a Navy petty officer were shot and killed on Thursday in Chattanooga, Tennessee. One site where the shootings occurred was a recruiting office in a strip mall. All six of the governors are Republican. In Florida, Scott ordered six storefront Florida National Guard recruiting centers to be moved to the nearest Guard armory buildings. The governor said Guard members who do not carry weapons should get them and obtain expedited concealed weapon permits, if necessary. Military personnel in uniform would not usually have authorization to carry a personal weapon while working in recruiting offices, the Pentagon said on Friday. 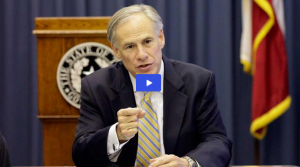 “It has become clear that our military personnel must have the ability to defend themselves against these type of attacks on our own soil,” Abbott said in a news release. “Arming the National Guard at these bases will not only serve as a deterrent to anyone wishing to do harm to our service men and women, but will enable them to protect those living and working on the base,” he added.